Veterans with early-stage businesses or existing businesses seeking growth capital are encouraged to be part of the 5th annual Veterans Business Battle. Click on the link to learn more! 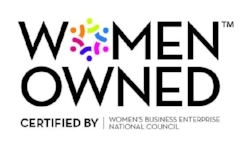 The “Boys Club” is being integrated with smart, hardworking, fearless women…..
Be aware of how the summer heat takes it toll on you and your coworkers! 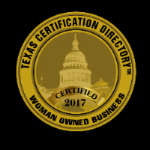 GPS International, LLC is now Certified as a Texas Statewide Historically Underutilized Business (HUB) Woman Owned. Alicia Heiskell has lead the company since 2009 and will continue as President. “This is an amazing opportunity to be able to purchase a company like GPS during a downturn. 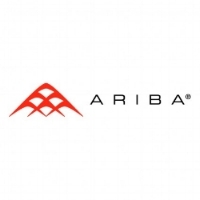 I am excited about our future and what can be accomplished.”GPS is recognized as a specialized vendor providing workforce solutions, project management and vendor management services to a multitude of industries worldwide since 2002. On behalf of GATE Energy, GATE Premier Solutions (GPS) would like to welcome Jason Bergeron to the GATE Energy family. · Going to bed earlier the night before the time change can ensure you get enough rest. Creating a calming ritual before going to bed and waking at the same time each day is a good sleep practice. Sky High for St. Jude has been raising money to help children fighting cancer and funding research so that one day OUR children will no longer have to face pediatric cancer. It is wonderful how this noble and worthwhile cause brings the communities in Louisiana and Texas together. Safety Matters & We Care! Not all construction site hazards are created equally. Some are so severe that they've earned special attention from the Occupational Safety and Health Administration (OSHA). OSHA calls them the Focus Four: struck-by, caught in-between, falls and electrocutions. Together, they are the leading causes of fatalities among construction workers. This time of year is full of New Years Resolutions so let’s start the year off right with a healthier, safer and positive YOU. Texas Mutual’s Toolbox Talks offers 3 timely tips for a more healthier and safer YOU!